Domestic appliances from Liebherr are a symbol of quality in Europe and beyond. *Every day more than 7000 appliances leave Liebherr’s various production plants. Dr Hans Liebherr founded the Liebherr Group of Companies in 1949. Since then, the Liebherr group has gone on to become one of Europe’s leading manufacturers of refrigeration and has earned a reputation for performance, innovation and care for the environment. Today, Liebherr’s engineering competence in Germany provides an extensive range of refrigeration and wine storage equipment to the world market. Liebherr is a family run business with 32,000 employees in more than 100 companies, across all continents. In addition to domestic appliances, Liebherr produces a wide range of cranes, earthmoving equipment, and other heavy industrial products. 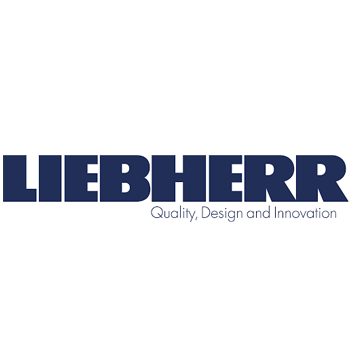 Liebherr’s range of domestic appliances is noted for its brilliant concept, modern design and well-planned solutions for optimum user convenience. It includes table-top, free-standing and combined refrigerators and freezers, freezer chests, food storage and drink-cooling refrigerators, wine cooling and wine temperature-control cabinets, as well as refrigerators and freezers for commercial use. In an energy-saving refrigerator or freezer from Liebherr, all fresh food is easily accommodated. Liebherr has thought of everything to conveniently manage food storage, from variable interiors to easily-opened doors. Built-in models, including under-worktop versions, are also available to fit in perfectly with the layout of your kitchen. If you love food and wine, then you’ll know that these are both best enjoyed when properly looked after. The cutting-edge German technology in Liebherr refrigerators and wine cabinets creates the ideal conditions for storing your finest foods and wines, so that they can be perfectly prepared whenever you want them. The classic, timeless design of Liebherr refrigerators and wine cabinets, as well as innovative features such as electronic control systems, user-friendly Touch feature, LED lighting, convenient IceMaker with twist tray, and versatile GlassLine shelves, all combine to make Liebherr appliances integral elements of modern homes.